Ang Vaughn: Come Meet Becca from Super Style Me! Come Meet Becca from Super Style Me! Hey all! Today is the official start of my vacation in Myrtle Beach, so I've asked some of my favorite bloggers that I got to know when I first started blogging to do a guest post. 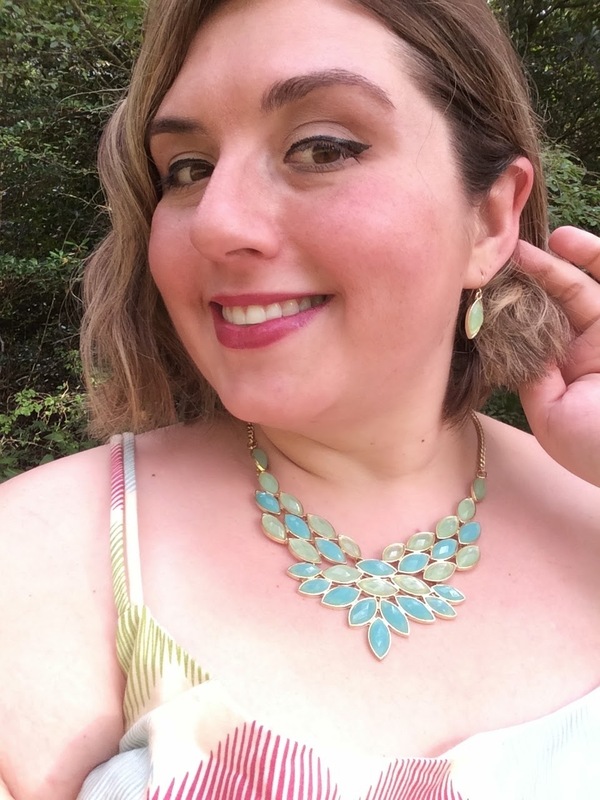 Today's guest feels more like a long lost friend- I first saw her on the ModCloth Style Gallery and immediately looked up her instagram and blog . I see a lot of fun and collaborations coming up in the near future with this impeccably dressed lady! Hi, I’m Becca from the blog, Super Style Me. I’m so happy that The Passionista herself asked me to do a guest post on her blog—what a wonderful birthday week surprise! I met Angela through Instagram, and we’ve become great blogging buddies ever since! My home base is Louisiana in a small, country town north of New Orleans. When I’m not blogging, I work in the music department of a store selling records and CDs. We also have new and used books, comic books, video games, movies, etc. Some people like to call my workplace “nerd heaven,” and I think that description is pretty accurate. In my off time, I’m usually dancing with Pandorium Belly Dance, and geeking out about music, comedy, and of course, fashion! Why did I start blogging? Inspired by online retailers who allow customers to submit their own reviews and pictures, I found it helpful when I saw ladies closer to my own size wearing the garments I’d like to buy. Even in the plus size world, the models are usually much smaller than I am, and I noticed that I got a better idea of how clothes would look on me from people who post pictures from home. I then thought, “I’m a ‘people,’ why don’t I do this too?” My initial mission was to show where to shop if you’re plus sized and to also present DIY projects and tips about how one can develop a personal style. What I didn’t anticipate was the support, especially on Instagram, from bloggers of all sizes, and since then, I’ve gravitated to reviewing clothes from places that aren’t exclusively plus size and cater to everyone. Much of ModCloth’s stock at the time was 50%, off so I decided to stock up on many of the items from my wishlist that were part of the sale. 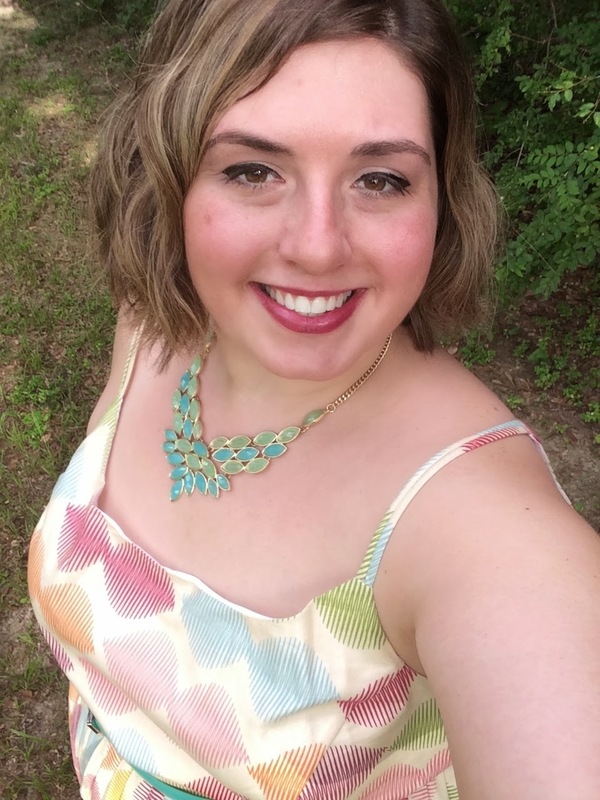 ModCloth was new to me when I started blogging a few months ago, and since then, I’ve become a believer! They make their house brands, Bea & Dot and Myrtlewood, in a full range of sizes—from XS to 4X. They also have a Style Gallery where customers can post outfit photos, so you can see the same garment on real people in a variety of sizes. 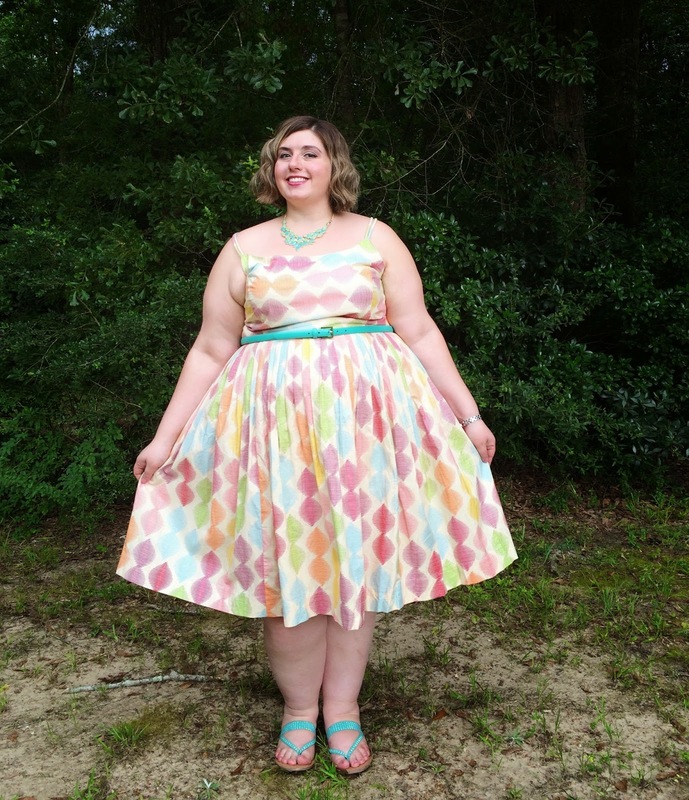 The High Socie-tea Dress in Macaron is from Bea & Dot, and I’ve seen it all around the blogosphere. 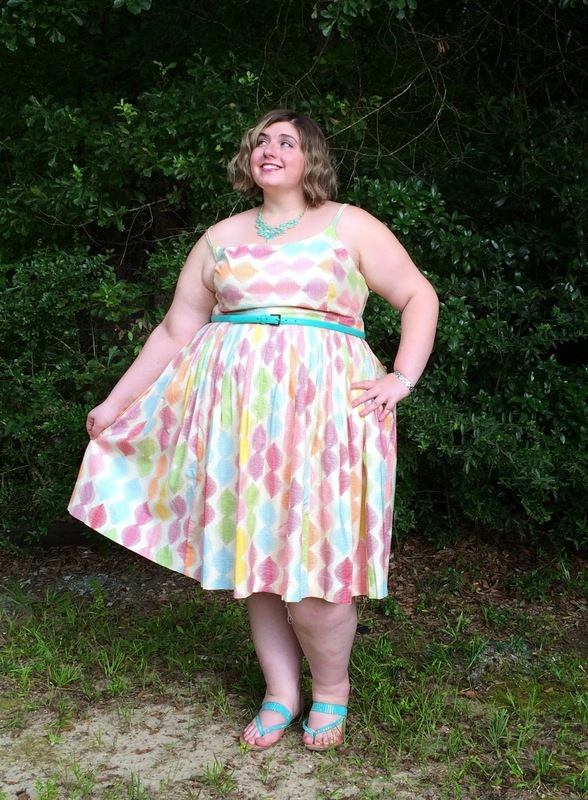 (Psst!—Last time I went to ModCloth’s site, this dress was 70% off!) Check out my Pinterest board “Great Gals Dress Alike” to see how some other fabulous ladies have worn it. I used to feel there was a stigma associated with plus sized clothing and that smaller sized women would never wear something also offered in plus sizes because of the connotation of that PS clothing is frumpy, shapeless, and just plain blah. I’m glad those days are over. It’s so awesome to see fashionistas big, small, and in-between rocking the same dress, and guess what? We all look great! I hope you liked my outfit and enjoyed my post! For more, go to Super Style Me & on Instagram @superstylemeblog. Thanks again, Angela, for allowing me to do this guest post! Until next time, stay stylin’! Yay! Adore you both, Angela and Becca! Great post!! Aww! Thanks, Lauren! I'm enjoying your new blog! I love the sherbet-y color scheme of the outfit. So pretty! :) It's great to hear the back story of why you started blogging. You're a 'people'! I thought I was the only one that said stuff like that. Haha. How nice of you to say, Amber! Thanks!